There’s plenty going on in the world of Pop Culture, so we’re doing the short, random news format this week in the PopCulteer. How about we get right to it? 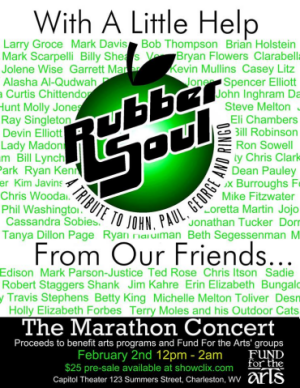 One week from today at The Capitol Theater in Charleston our local Beatles tribute band, Rubber Soul, under the direction of Mark Scarpelli, will undertake the task of performing over two hundred Beatles songs in a sprawling all-day concert that will start around Noon and last until after Midnight. The band will accomplish this with a little help from their friends, which coincidentally is what they’re calling the show. Guest performers will step in for a song or five and help bring the music of The Beatles back to a live audience. Mrs. PopCulteer, Melanie Larch, is one of the guests and I was lucky enough to be allowed in to a rehearsal Wednesday night where Mel, Casey Litz from The Company Stores and Erin Martin got their first chance to work with the band. I’ll be posting video from that session this weekend here in PopCult. Other local performers lending their talents to this project include Larry Groce, Ron Sowell, Julie Adams, Ryan Hardiman, Ryan Kennedy, Jonathan Tucker, Spencer and Devin Elliott, John Inghram, Kim Javins and many, many more. I’ve even signed on to help a little behind the scenes. Proceeds from The Marathon Concert will benefit Fund For The Arts, and the show kicks off at noon on Friday, February 2, at the Captiol Theater, 123 Summers Street, in Charleston. There is a $25 pre-sale available at Showclix, and tickets will allow you to come and go all day, just in case fourteen hours of Beatles is a bit too much for you to take in one sitting. 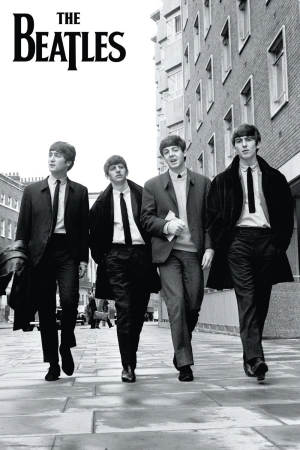 Next week The AIR will present special episodes of Radio Free Charleston, Curtain Call, Beatles Blast and Radio Free Charleston International to get you in the mood for this very special concert. You can read all about those radio programs and see exclusive rehearsal video here in PopCult. This is going to be an epic event that every local music fan and every Beatles loyalist will want to witness. Having been some months in preparation, a splendid time is guaranteed for all. 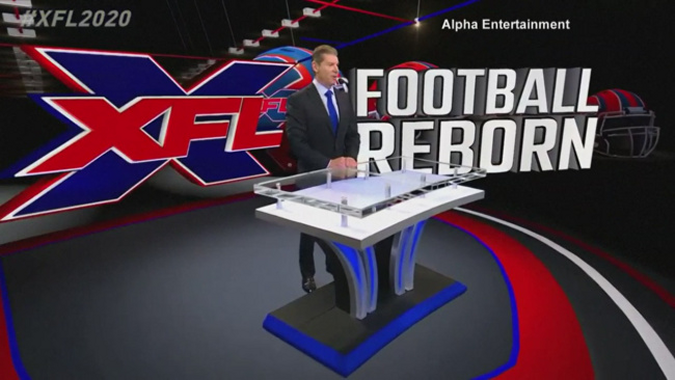 Continuing the real-world tendency to make parody and satire irrelevant, Vince McMahon announced the return of The XFL this week. It was pretty obvious that this was coming, as McMahon sold off a hundred million dollars worth of stock in WWE last month to finance a new company, Anthem Sports, which will allow him to revive his failed football league without risking any of WWE’s money. On one hand, this seems like a genius move. Due to a recent ESPN special, interest in The XFL is higher than it was at any time since the first game aired. A small segment of right-wing fans are boycotting the NFL over the peaceful protests of some players and may be looking for alternatives. And television networks are desperate for live sports content to keep viewers from cutting the cord and watching everything on demand. On the other hand, this looks insane. The NFL’s ratings had been nose-diving for years before the whole “taking a knee” controversy. People are just sick of football. There’s already too much of it. What used to be a special event that you could only watch on Sunday afternoon or Monday night is now also on Thursday nights, Sunday nights, some Saturday afternoons and nights, with replays all week long on the NFL network. And the games just aren’t as interesting or as fun as they used to be since fans are starting to realize the real, long-term damage that so many of the players sustain. Changing the rules to eliminate violent hits has only served to alienate the more bloodthirsty members of the viewing audience. McMahon’s revived league will begin their season in January or February and run for ten weeks, with four teams making the playoffs, going on to a championship. This is a time of the year when everybody who hates The Patriots is so sick of football that they won’t have a crap left to give. On top of that, it’s going to overlap with baseball’s spring training. And the weather is generally worse in the late winter than it is during the regular football season. McMahon says that there will be eight teams, each with a forty-man roster, and that players will make more money for winning, which I assume means that winning teams get bonuses. When asked about players like Johnny Manziel, Tim Tebow, and Colin Kaepernick, McMahon said that, if they can play at the level he wants, they’ll be welcome, but that they’ll have to follow the rules, which may include standing for the national anthem. McMahon also made it clear that he won’t launch the new league until 2020, so they have two years for that controversy to fade away before setting any rules about it. They want to have a faster-paced game that will be over in two hours, but no specifics were given about how that will be accomplished. They could eliminate instant replay, or they could play four ten-minute quarters or give the players less time between plays to re-set. At this point, everything about the league is still being formulated. Nobody knows what cities will get teams, how much the player’s will be paid, whether or not they’ll be using nicknames on their jerseys like last time or where the games might be shown. McMahon is promising that there will no crossing over with WWE. 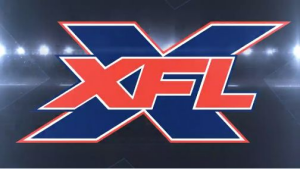 Unlike last time when he had Jim Ross and Jerry Lawler as his lead announce team, the plan for the relaunch is to keep The XFL as a separate entity. Nobody at the press conference asked if he’d sign Eric Arndt, a division III college ball player who became a free agent this week. 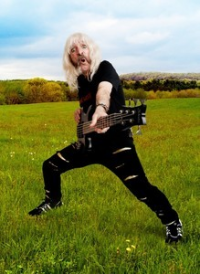 Derek Smalls of the band Spinal Tap, who bears an uncanny resemblence to comedian and actor Harry Shearer, is preparing to release his first solo album, and it can be pre-ordered now with lots of available bonuses. If that doesn’t sell you on this project, then you know nothing of music. Check out the amazing assortment of special bundle deals and signed CDs and Vinyl HERE. Fans of classic Anime should make plans to head to Barboursville next month for a special presentation of the new MAZINGER Z movie, show in Japanese with English subtitles. MAZINGER Z: INFINITY will receive a special two-day-only presentation at more than 450 theatres across the U.S. on Sunday, February 11 and Monday, February 12. Cinemark Huntington Mall 12 theater in Barboursville is one of those theaters, and they’ll be showing it a 12:55 PM on Sunday and 7 PM on Monday. 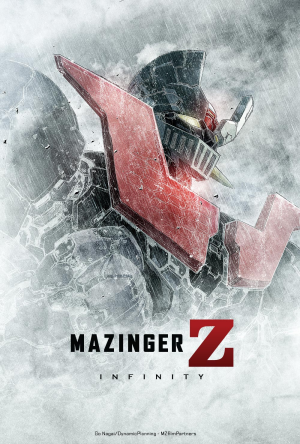 MAZINGER Z is one of Japan’s most revered sci-fi properties. The new film, which was produced by Toei Animation, takes place ten years after the conclusion of the famed Mazinger Z TV series. 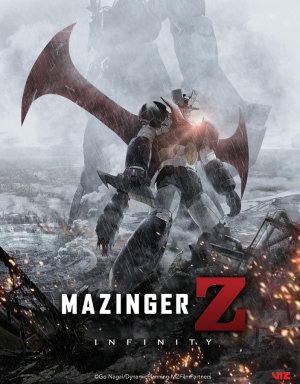 The MAZINGER Z: INFINITY movie is based on the classic manga series by the immutable creator, Go Nagai. It follows our hero, Koji Kabuto, in an action-packed adventure where only he can choose his ultimate path! Ten years ago, the villainous scientist Dr. Hell led his wicked followers, known as the Underground Empire, in a struggle to destroy all of humanity. It was against these forces that the young hero Koji Kabuto fought, piloting the legendary super robot “Mazinger Z.” Koji’s victory stopped Dr. Hell’s evil plan and returned peace to the Earth. This weekend the plan is for us to maintain our regular features here in PopCult, while possibly slipping in a video or three from Wednesday’s Rubber Soul rehearsals. We haven’t had time to check the video for quality yet, so if I screwed up, this may not happen, but I don’t often screw things like this up, so it’ll probably be worth your time to check back to see what I’ve posted. With that, we wrap up this week’s PopCulteer.